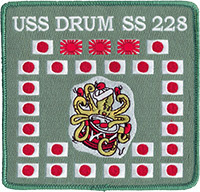 The USS Drum (SS-228) made a remarkable official 13 (thirteen) war patrols in WWII from April 17, 1942 through April 2, 1945, and also had an unofficial 14th (fourteenth) war patrol in WWII from July 21, 1945 through August 30, 1945. Thanks to Tom Bowser, retired submarine veteran and USS Drum volunteer, for the war patrol charts that you see on each war patrol report. He created these charts and provided them for use on this website. He has also provided tremendous input and answered the numerous questions that I have had. 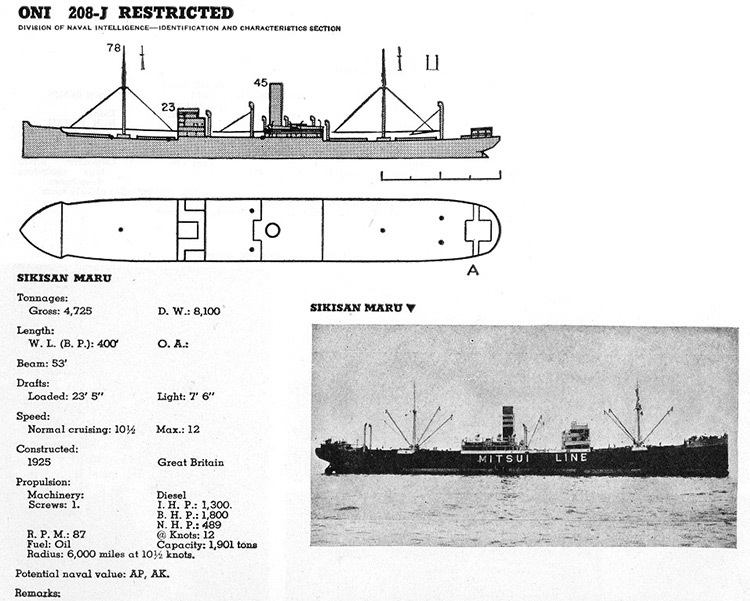 Thanks to John Clear of Submarine Memorabilia, who sells scanned copies of WWII submarine war patrol reports on disc. 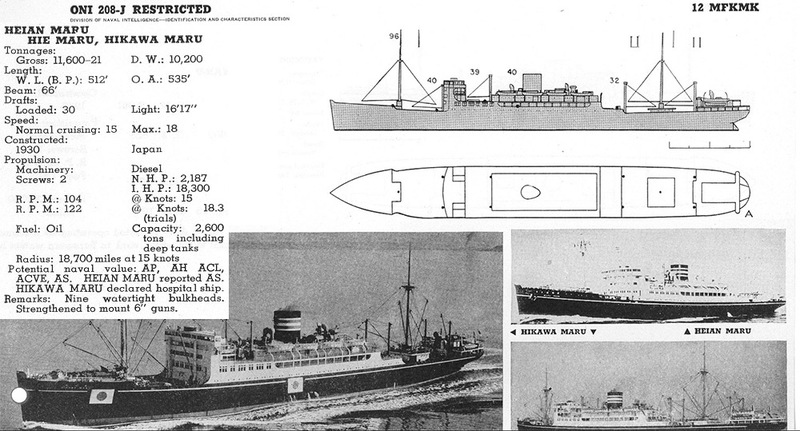 Thanks to Shelley Shelstad of History on CD-ROM for the images of ships that you see on many of the war patrol reports. He specializes in selling scanned copies of historic military manuals and documents on disc. 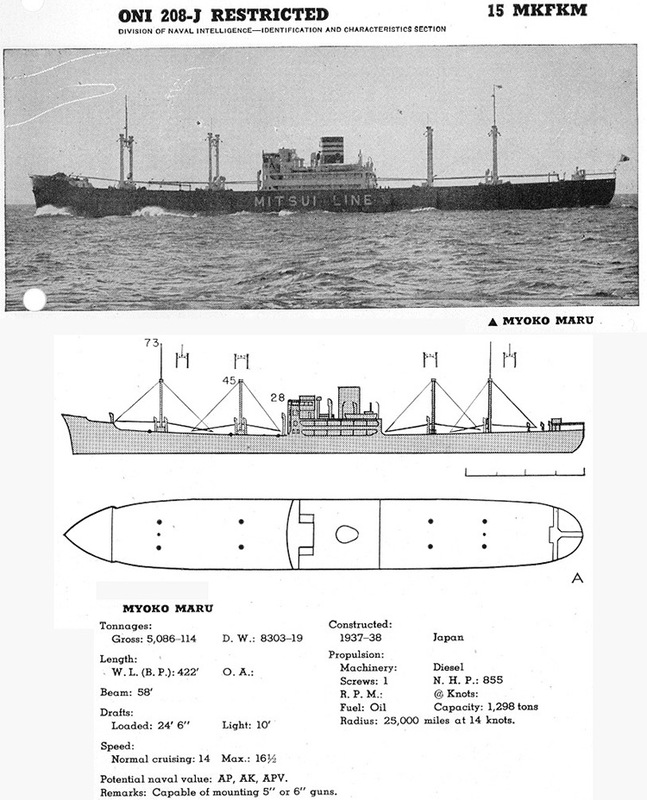 Thanks to Ron Martini, submarine veteran, and Mark Allen, USS Batfish (SS-310) Historian, for their continued aid in answering my many questions. As you visit each war patrol report, note that there is a button on the upper-right of each report that says "Click here to return to the War Patrols index". If you click on that button, you will be brought back to this page where you can choose another war patrol report to read. At the bottom of each report you will see three navigational links as well: previous patrol, back to the top of the current patrol, or next patrol. While I have done my best to reproduce these reports by eye, hand, and keyboard, error is possible and likely. In addition, some letters, numbers, sketches, etc. were illegible on my copies of the original reports. Blame the ancient microfiche! Whenever I could not determine a letter or number, you will see a "?" in its place. There are more after-the-fact details written in each patrol, and I am not including that information, at least at this time. I encourage you to attain your own copy of the original war patrol reports if you desire further information. You can use the custom Google search box below to search the entire Drum228.org website, including all of the war patrol reports. June 12, 1942 Pearl Harbor, T.H. Sept. 2, 1942 Pearl Harbor, T.H. Jan. 24, 1943 Pearl Harbor, T.H. May 13, 1943 Pearl Harbor, T.H. May 31, 1944 Pearl Harbor, T.H. 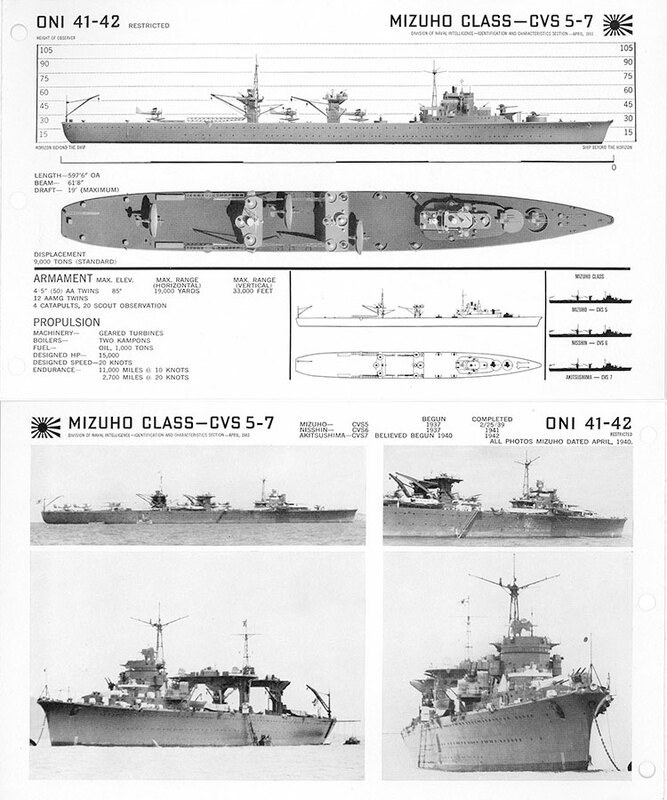 Aug. 14, 1944 Majuro, Marshall Is. Nov. 8, 1944 Pearl Harbor, T.H. 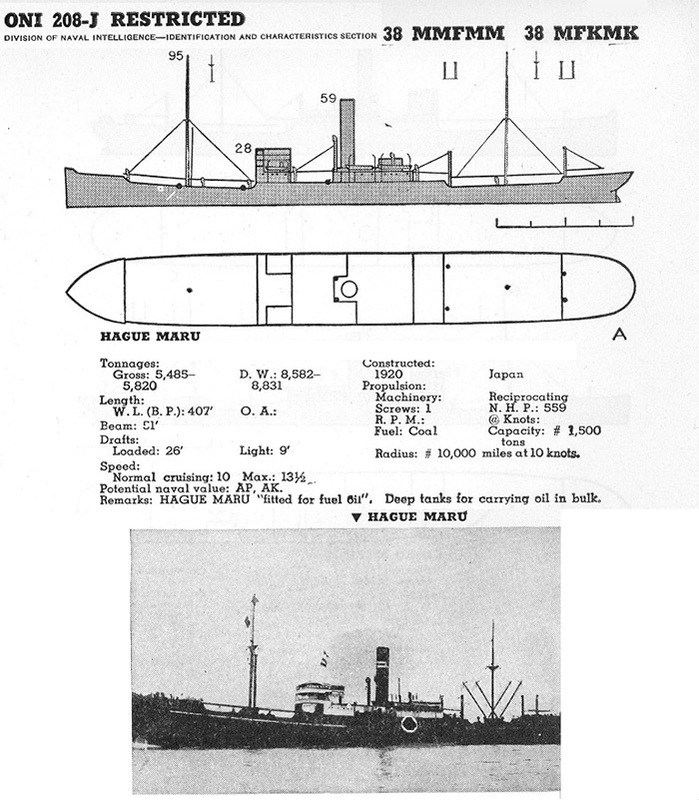 Jan. 17, 1945 Majuro, Marshall Is. Aug. 30, 1945 Pearl Harbor, T.H. 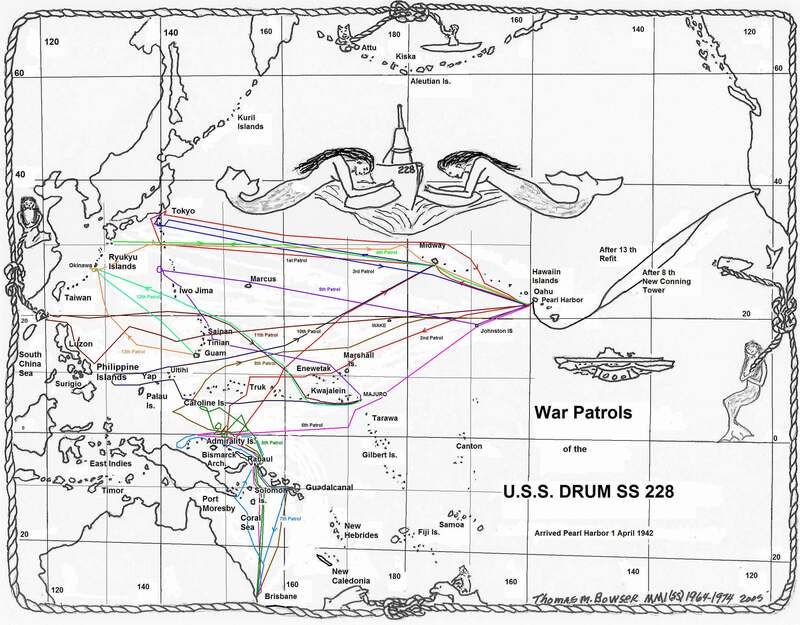 * UNOFFICIAL The 14th war patrol was unofficial, as the war ended just days before Drum could reach station at Saipan. 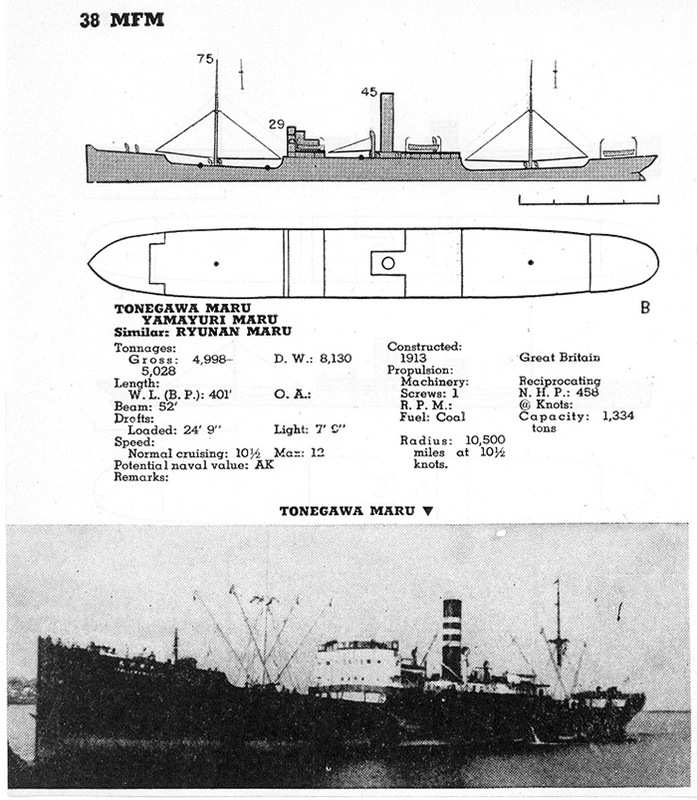 The Drum sank an official JANAC total of 80,580 tons (15 ships) of Japanese shipping, or an estimated wartime total of 118,000 tons (19 ships) of Japanese shipping. 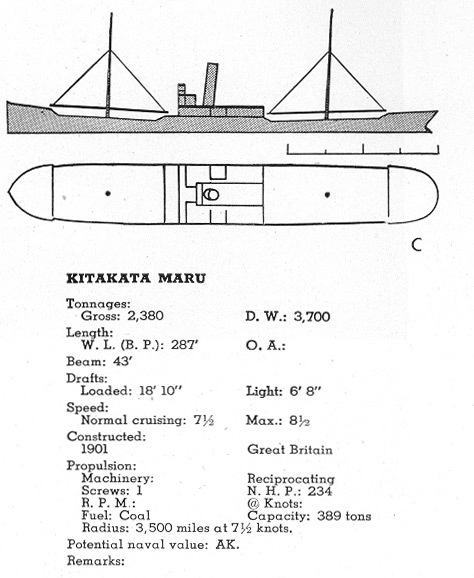 The crew even claimed to have sunk 27 vessels - you can see 26 of these claimed kills represented on their "kill flag" on your right. 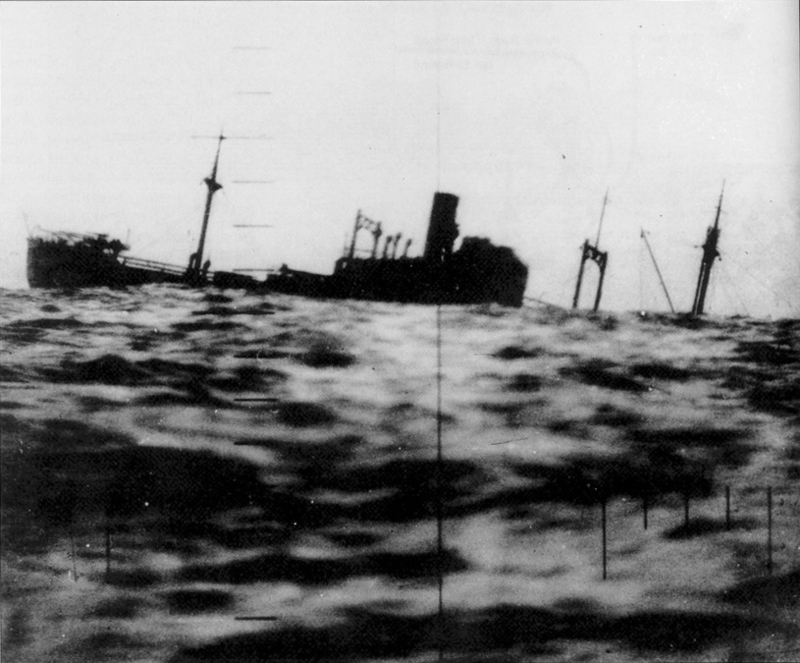 It was normal of estimated wartime totals to be greater than the JANAC confirmed totals as numerous times the submarines could not stay and confirm the sinking of their targets. Regardless, the USS Drum ranks within the top 10 (eighth highest) of all American submarines in terms of total tonnage sunk during WWII, and she is only one of two submarines in this top 10 list that still remains today as a museum. If you find these reports useful or informative, please do something to help the Drum.